Hey there, haven’t posted in awhile but I just wanted to stop in and offer up two Destiny beta codes for Xbox One. Just throw your e-mail address in the comments and I’ll give the two codes away (probably sometime tonight). Hopefully I’ll be able to get into the beta after work tomorrow morning (on night shift) and I’d like to post my thoughts on it if I have the time. Until then, thanks for stopping by. 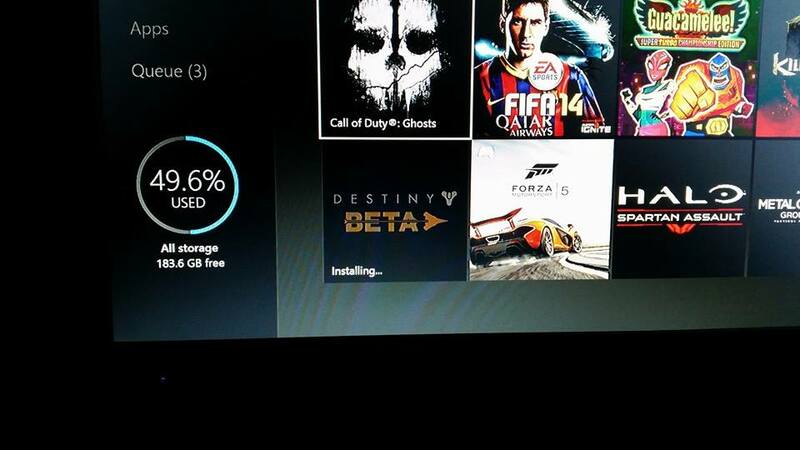 This entry was posted in Video Games and tagged Beta, codes, Destiny, Destiny beta, Xbox One. Bookmark the permalink. Are the codes for xbox one and will they be posted up here? Just wanted to let you guys know I sent out the Beta codes to two random commenters this morning. Thanks for stopping by. I’m going to delete the comments so your e-mail addresses aren’t showing on here, don’t want anyone to end up getting any unwanted e-mails. Thanks again!